DMD Records is publishing our new Educational Double CD Gift Set of the Vivaldi Four Seasons with Amelia Piscitelli and Steve Robinson. Pre-order your copy now – details below. Donate to Camerata Chicago and receive a free compact disc. Please find a form and a donate button at the bottom of this page! We have a fabulous selection of CDs you can choose from when you make a donation. $20 or more is the suggested donation for most CDs, $25 for double disc CDs. You can select your free CD and we will send it with free shipping. Many of these CDs feature recordings from live performances, many recorded by Eric Arunas of 98.7WFMT. 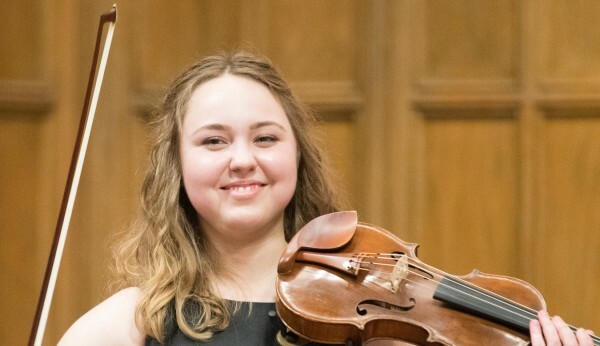 Enjoy this fabulous educational recording of Vivaldi’s Four Seasons brilliantly performed by seventeen year old prodigy violinist Amelia Piscitelli and Camerata Chicago conducted by Drostan Hall. This Double CD set is replete with the poetry written by Vivaldi himself and incorporates more than 20 musical examples of the clever seasonal elements and characters depicted in the music – all beautifully narrated by Steve Robinson of WFMT radio station. Disc 1: Narrator Steve Robinson guides you through this iconic work, season by season, movement by movement, with explanations, musical examples, Vivaldi poetry and of course the movement itself. 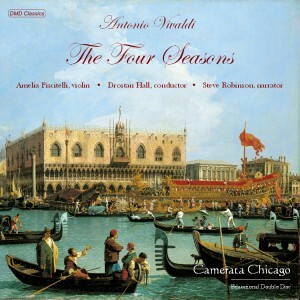 Disc 2: Complete recording of the four violin concerti comprising The Four Seasons – Spring, Summer, Autumn and Winter, each of which has three movements. This Double CD is a wonderful introduction for children to the world of music. They will be inspired because the musical examples (such as the birds tweeting) will give them an understanding of the music when they hear how Vivaldi incorporates his sound effects. Pre-order your copy of the Vivaldi Four Seasons today and we’ll mail it to you as soon as it is released! Free shipping! Plus we will send you another CD of your choice from these three – Mozart Symphonies, Mozart Violin Concerto No. 5 performed by Shmuel Ashkenasi, or Sweetest Day featuring Amelia Piscitelli. Just tell us which one in the message box below. 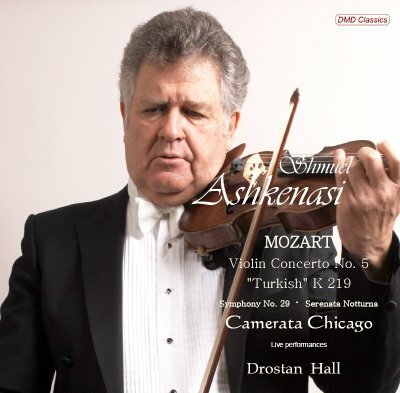 This Mozart Violin Concerto No 5 CD is a re-release of Shmuel Ashkenasi’s wonderful recording of the work with Camerata Chicago in 2006. The music of Mozart, of which Mr. Ashkenasi is one of the world’s finest exponents, is recorded here live. You will hear a truly Mozartian rendition of the 5th violin concerto while Shmuel Ashkenasi brings his own unique blend of fire and eloquent nuance to this youthful work. Conducting on this recording is English Maestro, Drostan Hall, our Music Director and Conductor, who studied under Shmuel Ashkenasi at Northern Illinois University and worked with him on this concert series to celebrate 250 years of Mozart’s birth. A further delight will be Mozart’s Symphony No. 29 performed by Camerata Chicago in the same year. Shmuel Ashkenasi performed the Mendelssohn Violin Concerto with Camerata Chicago in 2018 on April 6 (Chicago) and April 7 (Wheaton). See further information about these concerts. This Mozart Symphonies CD features two of Mozart’s most famous works, both in G Minor. Symphony No. 25 was recorded by Eric Arunas on January 28, 2017 and Symphony No. 40 was recorded on April 29, 2016. “The two Mozart symphonies on this CD are breathtakingly performed by Maestro Hall and his Camerata Chicago. The music is delivered with great vivacity and bounce, with brisk tempi that never seem too fast but are always energetic. The slow movements are played with grace and a deeply felt passion that engages the listeners at all times and Maestro Hall’s exquisite understanding of the 18th Century style is palpable throughout. The recording itself is beautifully and richly captured by Eric Arunas, one of the finest classical music engineers in the country. Recordings of these symphonies have been made by the greatest orchestras in the world but it would be difficult to find one as good as this one.” Steve Robinson, Former Executive Vice President, 98.7WFMT. 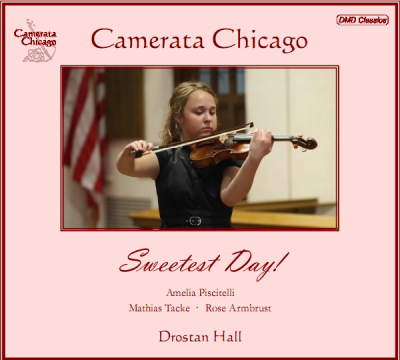 This Sweetest Day CD features Amelia Piscitelli, 15 year old violin prodigy, performing Svendsen’s beautiful Romance with the Camerata Chicago orchestra. Mathias Tacke and Rose Armbrust perform the lovely lryical and romatic Atterberg Suite for Violin and Viola. Also included are favorites such as Elgar’s Serenade for Strings and Variations on Thaxted by Blumhofer. Steve Robinson, Former Executive Vice President, 98.7WFMT. (Speech October 14, 2016). 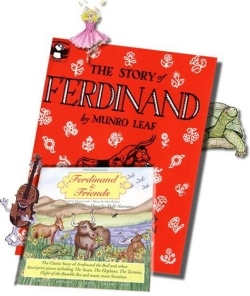 This enchanting CD features the classic tale about Ferdinand the Bull by Munro Leaf. The story has been set to music by Alan Ridout and is written for solo violin and narrator. Kids will have a wonderful time following along in the book as they listen to this captivating story and identify the musical themes that go along with each of the enjoyable characters. 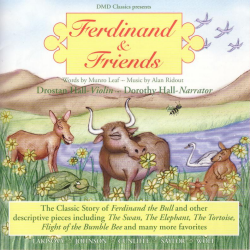 Also included on the CD are some of the best-known selections from Carnival Of The Animals and other favorites like The Flight Of The Bumble Bee, The Puppet Show, and The Laughing Violin. Each selection is played by solo violin, cello, or double bass, all with piano accompaniment. The performances are flawless. Each piece is introduced by a narrator who asks us to listen for certain things in the piece or delights us with amusing poetry from Ogden Nash and others. It’s an absolutely delightful experience. STEP 2: Click on the PayPal donate button below to make your donation. STEP 2: Donate to Camerata Chicago: Click on the Donate button to be taken to PayPal. This entry was posted in Compact Discs by Camerata Chicago. Bookmark the permalink.